The Brazilian Institute of Tax Law (IBDT) is pleased to invite young researchers/lawyers up to 35 years old on 30 September,2013, who are currently enrolled in a post-graduate study in the field of law from all over the world or involved in a research project certified by a law professor to write papers for the International Tax Conference sponsored by the International Fiscal Association (IFA) as part of the David R. Tillinghast Research program. The Conference will take place at the Law School of the University of Sao Paulo on September 30th and October 1st, 2013, and will be grounded on International Tax Principles in BRICS and OECD Countries: Divergences and Convergences. Founded in 1976, IBDT is a nonprofit civil association whose objectives are the scientific study of Tax Law; collaboration to the study of its subjects and related areas; bibliography, law, precedent and doctrine publications; courses and conferences organization. The only non-governmental and non-sectoral international organization dealing with fiscal matters, the IFA was established in 1938 in the Netherlands. Its goals are the study and advancement of international and comparative law regarding public finance through annual congresses and scientific research and publications. 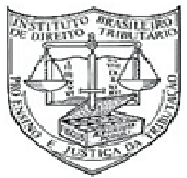 As part of IFA’s David R. Tillinghast Research Programme, the Conference will be held at the Law School of the University of Sao Paulo (USP) on September 30th and October 1st, 2013. Some of the world’s leading scholars on international taxation are taking part in the event, which will consist of six panels on different Tax Law matters. It is important to mention that the event has a scientific purpose and will pursue three goals: (a) involvement of students and young researchers/lawyers, (b) presentations by speakers followed by debates, and (c) publication of the results on a book of the event. Confirmed speakers include prominent scholars from Brazil, China, India, France, UK and the Fiscal Committee of the OECD. The presentations of each panel will be followed by debates with invited professors. The candidates must be young lawyers up to 35 years old on the date of the event (September 30th,2013) and be currently enrolled in a post-graduate study in the field of law or involved in a research project certified by a law professor. (i) Tax Judges and Tax Treaty Interpretation: Influence of Internal Law, International Guidelines and Interpretations in other Countries. (ii) Transfer Pricing: (1) arm’s length principle versus worldwide unitary taxation; (2) secondary and correlative adjustments and domestic legislation. (iii) Tax Avoidance, Tax Evasion, Transparency and Exchange of Information. (iv) Tax Treaty Policy: Taxation of Services. (v) Tax Incentives and Attraction of Investments. (vi) Tax Protectionism and Tax Discrimination: Relevance of Multilateral and Bilateral Trade and Investment Agreements. They must be submitted by email to [email protected] and received by July 15th, 2013. Each paper must contain its author’s name, mini curriculum and a valid contact address on the first page. The candidate must bear in mind that the selected papers may be published on the book of the event. The best text up to a maximum of two texts for each subject shall be selected by the speakers of its panel. The chosen authors will then be invited to come to Sao Paulo and make a brief presentation of their conclusions during the event. The IBDT will grant each selected paper’s author USD 500.00 for travel expenses. For authors residing in Asia, the granted amount will be USD 750.00. Previous ArticleDOES THE RIGHT TO LIFE INCLUDE THE RIGHT TO DIE…? ?